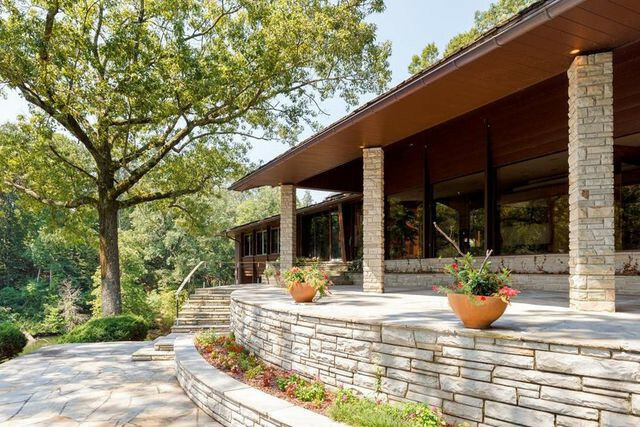 If you’re an architectural enthusiast hunting for a home for you and your favorite helicopter, take note: This $3.9 million, six-bedroom, 11,000-square-foot Mid-Century Modern estate is filled with pristine, historic details. And yes, there’s a helipad—as well as two docks and 12 car bays. No matter how you get around, you’re covered. 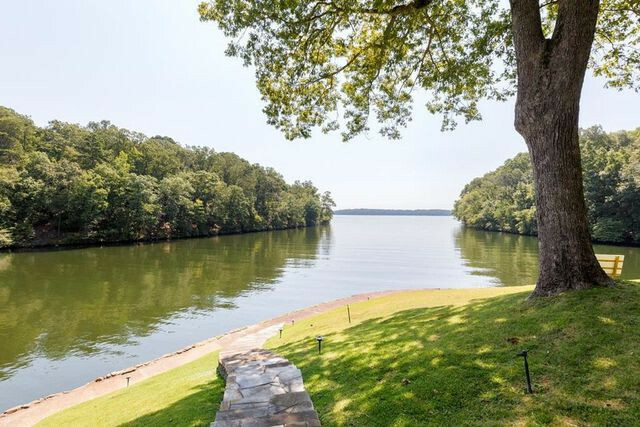 But we’re betting you’ll never want to leave this Florence, AL, home, which is located on a private cove off Wilson Lake. 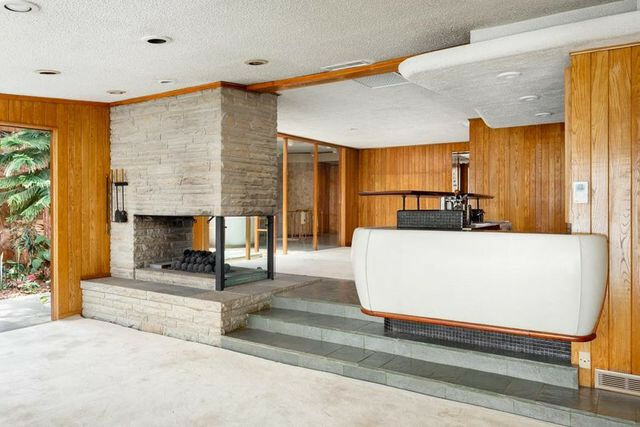 This beautifully preserved Mid-Century Modern masterpiece, which has had the same owner since it was constructed in 1957, offers a treasure trove of original architectural details, including a “Jetsons”-esque wet bar overlooking the living room. The U-shaped kitchen features white countertops and plain wooden doors. 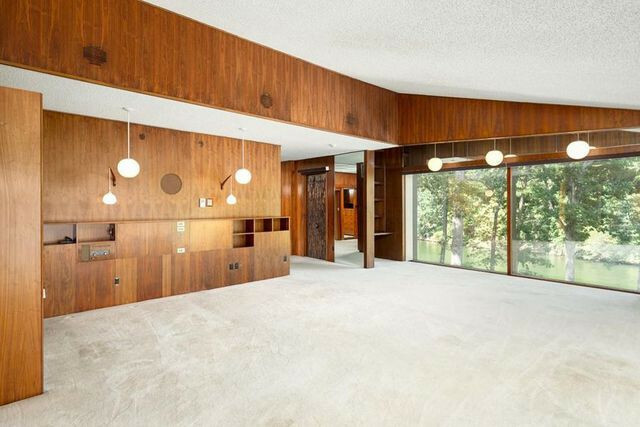 It’s one room a new owner might want to change. 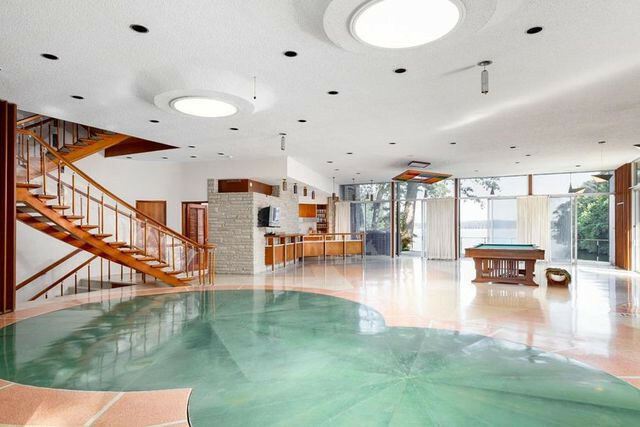 “It was designed for a housekeeper; that kitchen was not designed for the owners,” says listing agent Shirley Neese. Bonus: Opening up the kitchen walls will reveal a jaw-dropping view of the cove and Lake Wilson beyond. No matter where you stand in the house, there’s a lake view waiting to take your breath away. “Potential buyers love the master bedroom that faces the water,” Neese says. 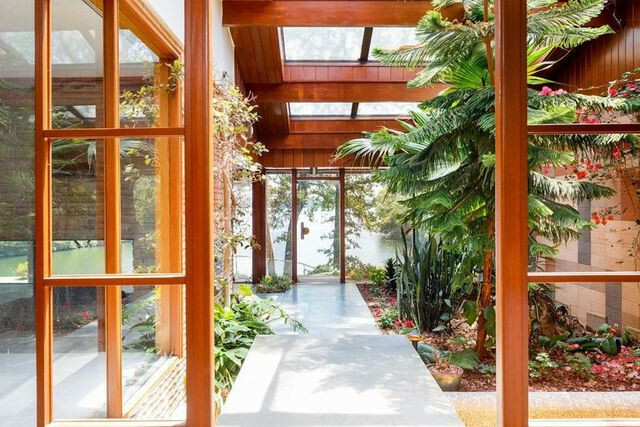 The home features wood paneling throughout, and honeycomb-inspired screens give the long hallways a “magical forest” ambiance. The graceful curving staircase is a work of art, offset by mirrors and reflective glass. At its base is a retro-chic room with an entertainment area. © 2019 Vail Multi List, Inc. (VMLS). The information displayed herein was derived from sources believed to be accurate, but has not been verified by VMLS. Buyers are cautioned to verify all information to their own satisfaction. This information is exclusively for viewers’ personal, noncommercial use. Any republication or reproduction of the information herein without the express permission of the VMLS is strictly prohibited. Real estate listings belonging to brokerage firms other than Resort Real Estate Experts are marked with the IDX logo or icon. The detailed information about them includes the listing brokers name. Information is deemed reliable but is not guaranteed accurate by the MLS or Resort Real Estate Experts. Data last updated: 2019-04-19T14:11:36.943. © 2019 Summit MLS, Inc., a wholly owned subsidiary of Summit Association of REALTORS®. All rights reserved. The information being provided is for the consumer's non-commercial, personal use and may not be used for any purpose other than to identify prospective properties consumer may be interested in purchasing. The information provided is not guaranteed and should be independently verified. You may not reprint or redistribute the information, in whole or in part, without the expressed written consent of Summit Association of REALTORS®. Data last updated: 2019-04-19T14:27:11.347.